God uses different ways to save different people. Whilst I was in hospital suffering from depression, on hearing I wanted to attend a church, a fellow patient invited me to come along to her fellowship. I was not brought up in a Christian home. My only experience of going to church was Sunday school, and being a member of the Girl Guides. Therefore when I entered Spring Road Church for the first time, I found it strange that there were no stained glass windows, crosses, or statues. Even the minister wore an ordinary suit. The service was very simple with the singing of hymns, a reading of the Bible, prayer and a sermon. Despite this, I immediately felt a sense of peace, and belonging. Mercifully God kept me attending this church week by week. 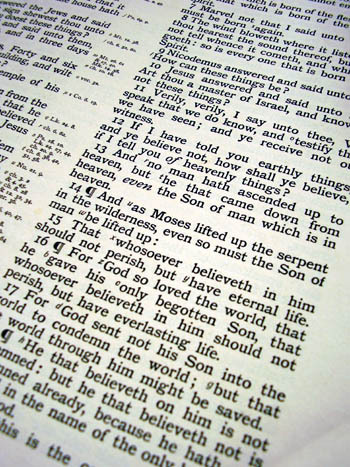 At first I found it hard to understand the Bible or the sermons. However I was encouraged to pray that God would give me understanding. Someone said, it is like a jigsaw puzzle, as each piece is fitted in, the picture becomes more clear. One day we sung a hymn which has the chorus, "it is well with my soul”. I found myself unable to sing these words because at that time I knew all was not well between me and God. I realised that I was a sinner who needed God’s forgiveness. One day God placed the final piece of the jigsaw when a believer spoke to me of Christ dying for her. It was then that I understood at last that Christ died on the cross for me also. I was a terrible sinner and prayed earnestly to Him for forgiveness. I was baptised as a believer not long after I had come to a real sense of assurance and peace with God. Since then Alan, my husband, and I have had many trials. However, wonderfully, through these trials God has brought us closer to Him. My favourite passage of the Bible is” …consider Him who endured such hostility from sinners against Himself, lest you become weary and discouraged in your souls…” (Heb. 12:3). These words remind me that my sufferings can never compare to what Jesus went through for me. I know that in His wisdom he has planned out my life and even the hard things are for my spiritual good (Rom. 8:28). God is so merciful to me, He loves me, and I love Him. I have peace with God through the Lord Jesus Christ and yes, it is well with my soul!